Just to try something different, I’m going to start with the punchline. I’ve got a bunch of APS film canisters and I’d like to scan them. There are various options available to me, but in the end, I’ve decided that I’d like to see if I can rig a homebrew film scanner. I’ve only been comfortable calling myself a photographer for the last few years. But I’ve loved photography since my childhood. Like many folks, I took the classes in high school and got to develop prints on paper. (Unlike many folks, I’ve also used the same techniques to create circuit boards from copper-clad sheets). And during school and since, I’ve always been quite happy to wield a camera. As for most people, digital was a gamechanger. Being freed of both the cost and the time of developing film really left me free to discover just how much I enjoyed taking pictures, and by taking so many, I really started to learn what I was actually doing. But before I went digital, I got hoodwinked by brochures promising the future. Digital was a big threat to the film companies. Even though the first consumer digital cameras would be embarrassing compared to what’s on your phone right now, the promise of the idea was clear. No more fillm, no more developing. Unless someone had a really good idea. Or really good marketing. 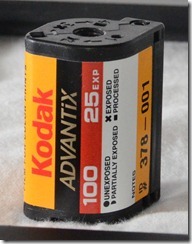 Which is how the APS film format was born. It’s analog which was still better quality than digital at that point. And the cameras could shoot three different kind of shots, normal 4×6″, panorama 4×11″, or HD 4×7″. How cool is that? Not very, in retrospect, though I guess I was pretty happy at the time. Those long panorama prints were impressive, and fun to pin up on my wall at work. But what was really happening was that I was just telling the developing machine to zoom on part of my print. And the film itself was smaller than 35mm, so really compared to the 35mm alternative, I was giving up image quality for the opportunity to pay more for less actual film. As much as I’m annoyed that I fell for it at the time, I did have a lot of fun. And after I moved to digital, my parents spent a while using my old camera because it was still better than theirs. But that of course means more little rolls of film. Now my parents are digital too. Now we’re a digital household and I’m starting to look at how to digitize the pieces that aren’t already loaded into my parent’s iPad. and the starting point is the box of APS film canisters. The nice thing is that lots of scanners have this attachment. But not for this size of film. It’s a weird format, and it gets stored inside the film canister so It’s pretty laborious. I’m not ruling it out, but it’s a lot of work and I’d have to buy extra parts and hope they really worked and fit. I’d honestly prefer this option. But the last time I checked, it costs something like 20 dollars a roll, and that just seems prohibitive. And the results are not very high quality scans so they aren’t even detailed enough to reprint a 4×6 later. Cost and quality rule this one out for me. I got this idea from the cult-of-productivity folks. They were talking about scanning notes or business cards, but it’s the same concept here. It seems faster than option 1 and better quality than option 2 and gets me past the problem of the film size being so small. It seems fun. Does’t it seem fun? I think it’s fun. It still leaves me the chance of going back to option 1 or option 2. So. That’s how I got here. That’s the project. Build myself a film scanner. Now I need a scanning bed. 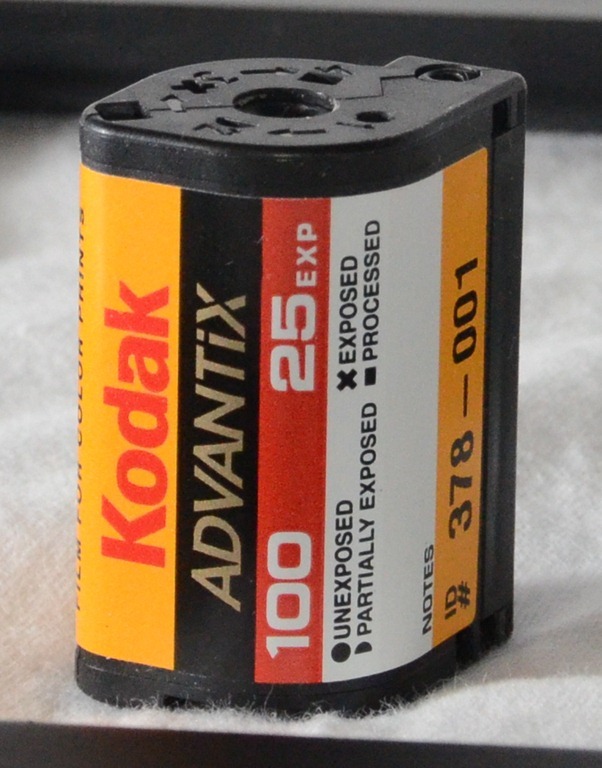 Tagged with advantix, APS, archive, digital, digital archive, DIY, film, photography, photos, pictures, project, scanner.